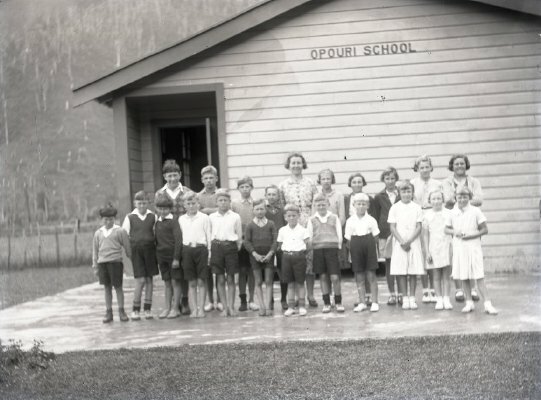 Opouri School, teacher and pupils. Description Opouri School, teacher and pupils. Title Opouri School, teacher and pupils.